Our PROLAQ cleaning systems have been especially designed for the cleaning of painting tools, such as spray guns, gravity spray guns or paintbrushes. ROLAQ is a spray gun cleaner that can reduce VOC emissions significantly, extend service & maintenance periods, and also increase the efficiency of operations across a wide range of areas. Paint deposits are removed from hoses and tools, which helps avoid sloppy spray pattern or droplet formation. The PROLAQ Compact parts washers is for manual paint removal, whereas PROLAQ Auto can also the clean painting tools automatically. The integrated compressed air gun then makes drying the parts easy. The devices are complemented by our spray gun cleaners, merging into an effective system for the removal of undried varnish, paint and ink. Instead of using conventional thinners, the PROLAQ systems work with HAZMAT-reduced cleaners that facilitate pleasant work, make storage easy and save the environment. 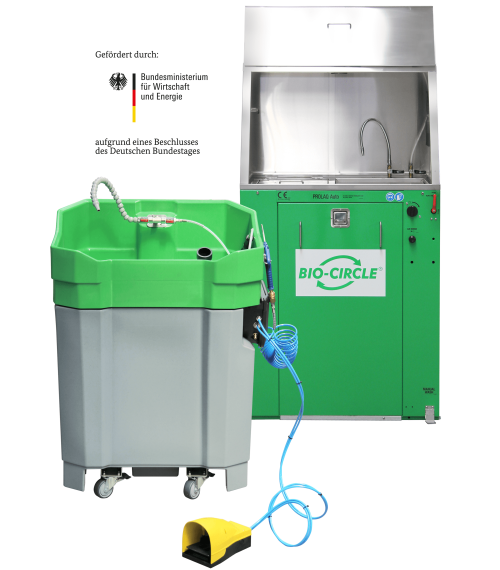 The parts washers facilitate multiple use of the cleaning fluids. This is achieved by recirculation and 3-step treatment, which also leads to savings in costs, waste and resources. 1. Coarse paint and varnish residues are collected by a pre-filter. 2. The fluid flows on into a sedimentation basin, where the suspended particles contained in the cleaner settle on the bottom. 3. After that, the cleaner flows through a fine filter, where smaller particles are collected. This way the useful life can be extended many times over, depending on the imported varnish and interaction between varnish and cleaner. Do you want to visit us at PaintExpo, Karlsruhe - Hall/Booth 8/8-309? 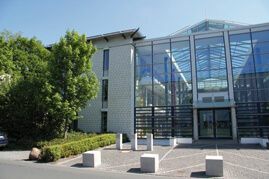 Contact kaller@bio-circle.de and you will get a free exhibition ticket! Disposal quantities are reduced to one tenth. Do you want to sell PROLAQ to your customers? We are looking for new sales partner to optimize this business and become even more successful with you together. Are you interested?